Benghazi committee whistleblower Brad Podliska suing Trey Gowdy for defamation. 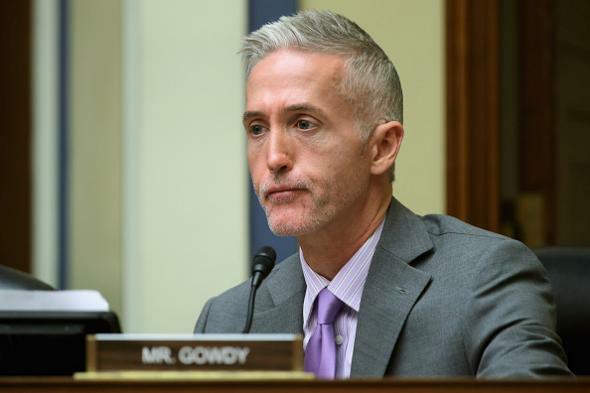 House Oversight and Government Reform Committee Select Committee on Benghazi chairman Trey Gowdy, R–South Carolina, on Nov. 3, 2015, at the Capitol. Legally, [Podliska’s] status in the military secures him a place in court that aggrieved House staffers don’t usually have. Congress passed “whistleblower” protections for most federal employees, but exempted its own staff in a self-interested loophole. Yet Podliska argues he is able to sue under The Uniformed Services Employment and Re-employment Rights Act (USERRA), a 1994 law that protects service members from employment discrimination. Podliska is a registered Republican and told CNN that he does not plan to vote for Clinton in 2016.